The Champions League quarterfinal matches will begin on Tuesday, with three of the top four teams in the English Premier League all in action. That includes a matchup between Manchester City and Tottenham Hotspur in a battle that guarantees at least one English side will make it through to the semifinals. City currently sits in the driver’s seat in the Premier League: while the club is two points behind Liverpool, they have a game in hand with just six left to play. If City can win out, they will win the EPL title for the second consecutive year. Meanwhile, Tottenham has fallen to fourth place in the EPL after spending much of the season right alongside the two leaders. With a league title now out of the question, Tottenham manager Mauricio Pochettino admits that the two-leg battle against Man City carries a special importance for him as a manager. On the other side of the match, Manchester City is chasing what could be one of the greatest ever seasons for an English side. Having already won the Carabao Cup, City could still win a quadruple: they are in the final of the FA Cup, are in position to win the EPL, and are still alive in the Champions League as well. 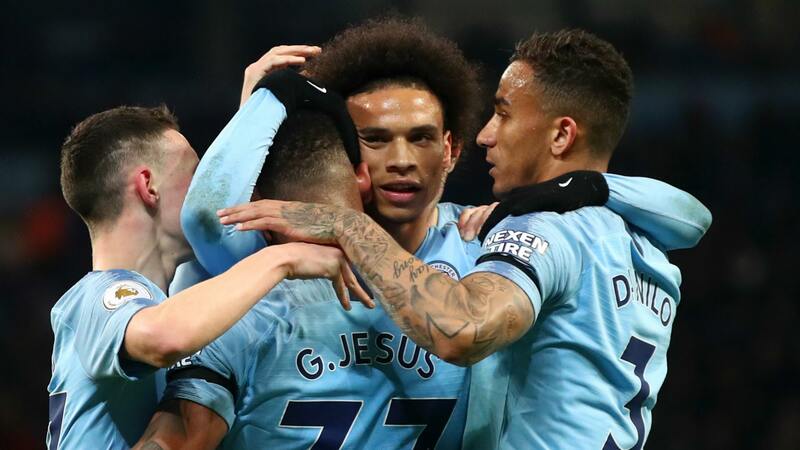 The difficulties in accomplishing that task have already become apparent, as City was far from its best in a 1-0 victory over Brighton in the FA Cup semifinal. But despite the struggles of staying up to the challenge in every competition, City remains the favorite both in their encounter with Tottenham and the Champions League as a whole. According to Paddy Power, Man City is a 5/6 favorite to win in Tottenham on Tuesday. They also sit as the 9/4 favorite to win the Champions League title this year. Tuesday’s second match pits Liverpool – the other English league title contender – against Porto in what is generally seen as a mismatch. However, former Manchester United manager Jose Mourinho – who also once managed Porto himself – has said things won’t be that simple for the English side. “Liverpool have absolutely fantastic individual quality, but they are disputing the league title which means that they will not rest players in the previous game or between the two games,” Mourinho told reporters. But with Liverpool in tremendous form right now, their manager Jurgen Klopp feels that his team is up to the challenge of competing for both a league title and Champions League glory. Liverpool (1/4) is consider a strong favorite at home on Tuesday over Porto (10/1). The Reds are also a 1/5 favorite to advance to the semifinals over their Portuguese opponents. Overall, Man City remains the favorite to win the Champions League ahead of Juventus (7/2), Barcelona (3/1), and Liverpool (4/1).